"This is a clubby EP. 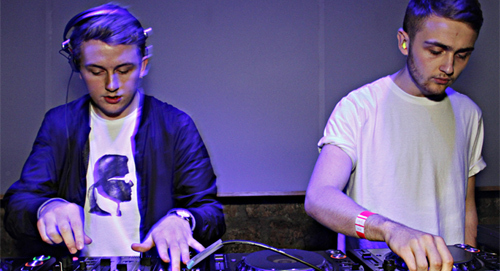 It's back to the start," Disclosure told Radio 1. But then, how many people remember "the start" - when Disclosure made mellow, sample-based house grooves like I Love... That You Know and Tenderly. To the uninitiated, this is going to sound like a whole new direction from the brothers' Howard. The best track is the laid-back Feel Like I Do, which lifst the vocals from Al Green's classic ballad I'm Still In Love With You. When it was sent off for sample clearance, Green liked the song so much, he sent back the original a capella track to help Disclosure create a cleaner version of the song. The rest of the "Moog For Love" EP shares the upbeat optimism of that track. BOSS has a brilliant vocal loop that declares: "She's the boss and I'm an old romantic doing favours, don't look good on paper", while the title track is a collaboration with Eats Everything. These are going to sound great when Disclosure headline the Other Stage at Glastonbury next week.